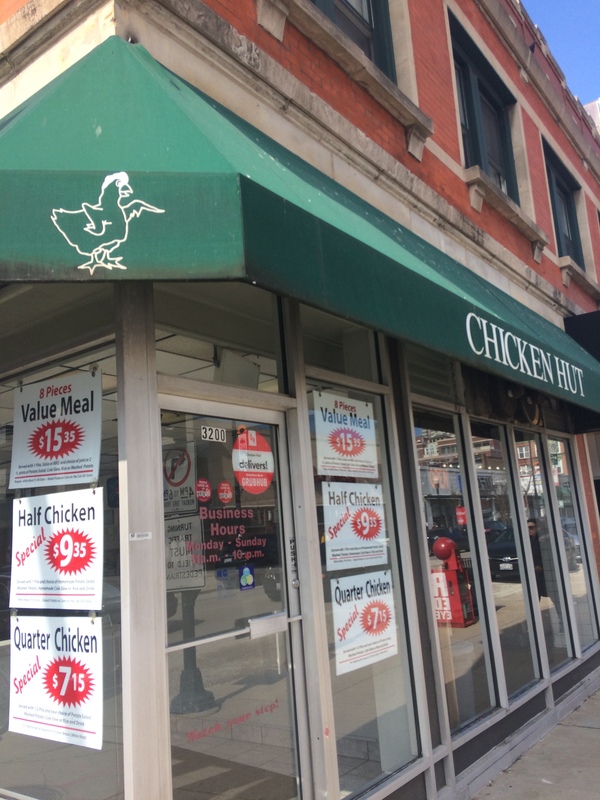 The Chicken Hut in Belmont was and is one of my favourite places to eat at in Chicago. It is not fancy in any way, shape, or form, but it is very real and it is very honest. 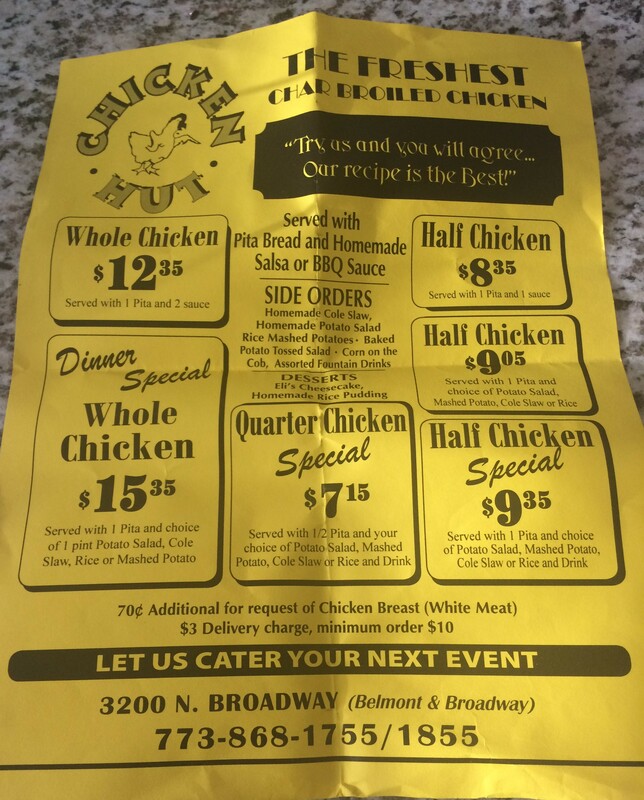 When I lived in the city I would come here every other week just to eat their Chicken plates, sometimes with rice and salsa, sometime with mash and gravy. The key thing is that you can see the Chickens grilling away on the charcoal grill when you walk in, They have a constant stream of chicken flowing on to and off of that grill. When you order they spear one off the grill. It isn’t sitting waiting in some sort of warmer, it is there waiting on the coals for you as you walk in. Love it, love it A LOT. 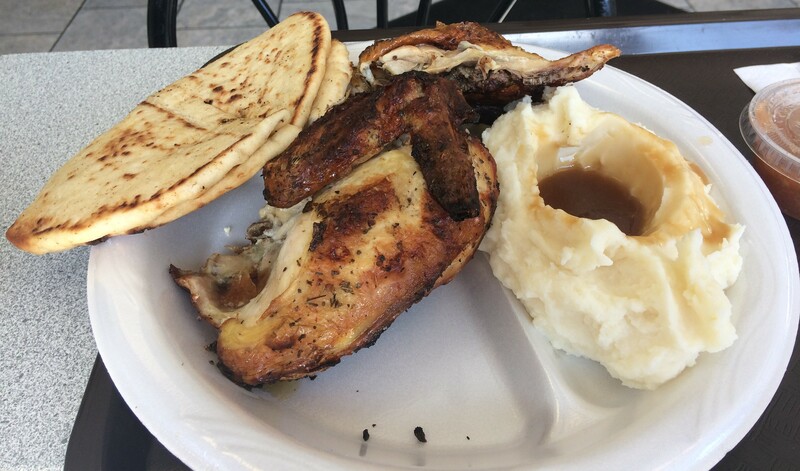 On this latest trip back to Chicago I opted for the half chicken with a side of mash and gravy. There is a pot of spicy tomato relish to one side, and a couple of bits of pita bread too (just in case). It doesn’t look that big in the picture, but trust me you get a LOT of chicken. My half was chopped into three bits, so I had the Breast on the bone, a leg and a wing piece to work my way through. The Chicken itself it really good, it is all pretty juicy as it comes fresh from that grill. I will be honest and say that the breast can be a bit less moist that the dark meat, but that is to be expected when you chop up the bird. It is really a fantastic simple and humble spot! Next Post Velvet Taco – Tater Tots and a Fried Egg! Fish and Chips in a Taco? Why not! I really enjoy broiled chicken. I’ll have to keep your blog in mind if I ever manage to make it to Chicago. 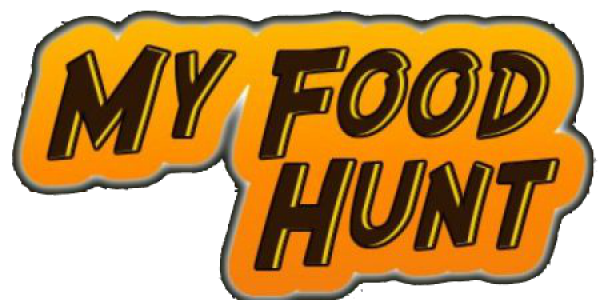 Hey Donald, if you ever go let me know as I could give you some great spots to try out.